Habits of geologists are so good you need to steal them. Earth scientists are working in nature. Therefore, over time, they are changing into this five habits that can benefit you too. Moreover geologists are incredible creatures that have created their own worlds. So by ‘stealing’ their habits, you might be falling to these worlds. In other words, you might be another Alice in Wonderland. Geologists are from their nature quite curious. They are studying everything around you to learn how the world is. Therefor their minds tend to work all the time because of their curiosity. On the other hand curiosity is a great habit to have for your mental health. This is because curiosity motivates us to keep learning new things. By using our minds is helping us keep it healthy. Think your brain as another muscle to your body. In fact there are studies that say by using our brain we decrease our possibilities to get Alzheimer disease. As a geologist myself geology is a science that come with a lot of hiking. Most usual geologist are hiking in areas less know to the public. This is because they either mapping or looking for something specific, such as fossils. Hence they become hikers in different environments, from the beach up towards the mountains. However hiking is more than the simple physical exercise. 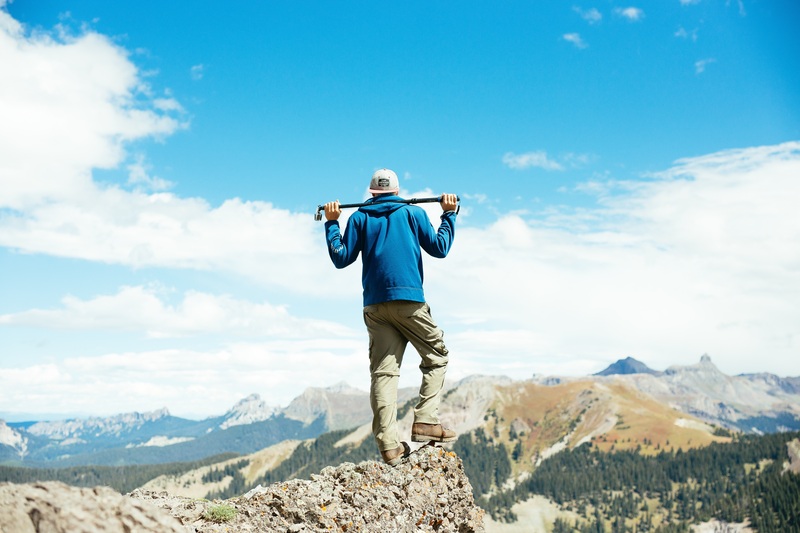 Although the habit of hiking is good for your health, there is also the mental aspect. For instant, Japanese believe hiking in the forest is good for their mental health. Field work for geologists can last for days, so camping is a quite a normal activity for them. Even though most of geologists seek accommodation, they most certainly have some experience sleeping under the stars. This activity allows you to stay longer outdoors and see a different scenery at night. For sure, staying at night in nature is a complete different experience. More certainly the sky looks bigger and it is fill through with starts in a cloudless night. Therefore campling is one of habits geologists are well accustomed, especially as students. Being and working in nature has a big affect on someone. In addition geologists have the insights of how the Earth is working. So they understand problems such as climate change and pollution. These two concepts of being in nature and having the knowledge of Earth should be included in environmental education. By being in nature and seeing the catastrophes is eye opening for all of us. Moreover learning what Earth experience for the last four billions years, we can understand more the environmental problems we are facing. In these to ways it will be easier to turn the public from littering to environmental protectors. If you do know this already geologists are great storytellers. They are the writers of Earth story. Hence their job is challenging. They need to find and tell the story that happened usually millions years ago. Yet they firstly need to imagine it. Therefore they have developed a habit of storytelling and imagining different worlds. Habit of storytelling is always and mostly now an important one. Imagination stimulates the brain and develops your creative part of it. Furthermore their stories are influencing many figures and sectors. Moreover these stories have shaped our world, from technology to art. One example from the past captured in the book ‘Wordsworth and the Geologists‘ by John F. Dr Wyatt. The book explores the relationship between a major Romantic poet and a group of scientists of geology. Wordsworth’s later poems and prose display unexpected knowledge of contemporary geology and a preoccupation with many of the philosophical issues concerned with the developing science of geology. Wyatt shows how the implications of such discussions challenge the simplistic version of ‘two cultures’, the Romantic-literary against the scientific-materialistic.